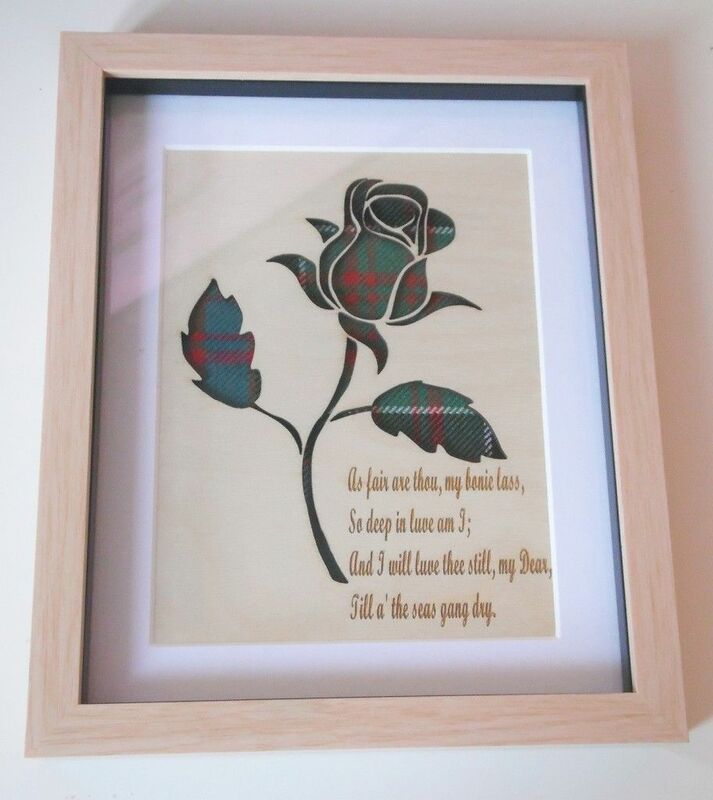 Our lasercut rose design on wood, framed in light wood effect box frame which measures 10" x 8" and can be wall mounted or free standing.Available on the 16oz tartan background of your choice. 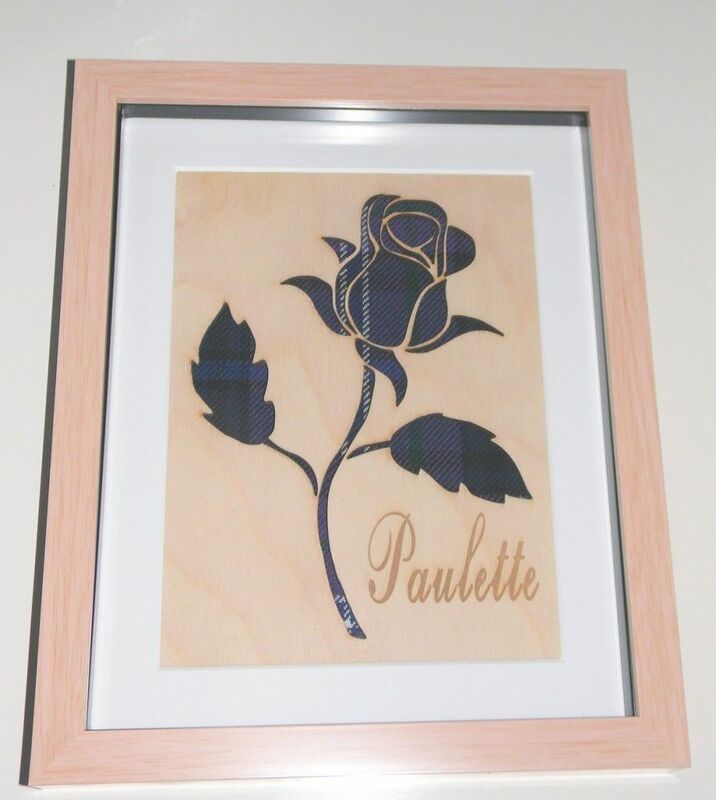 *Please allow 7-10 days from ordering for delivery as each tartan is ordered in individually. 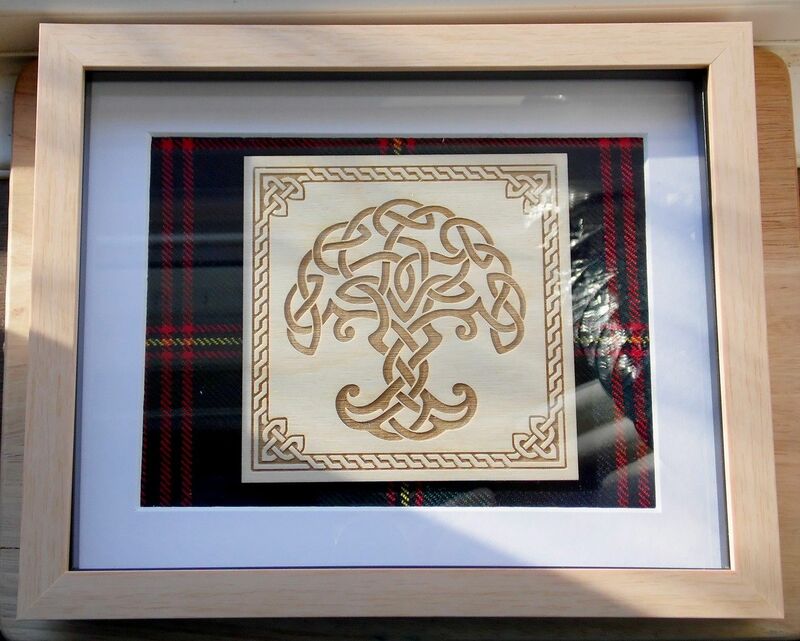 Our lasercut unicorn design on wood, framed in light wood effect box frame which measures 10" x 8" and can be wall mounted or free standing.Available on the 16oz tartan background of your choice. 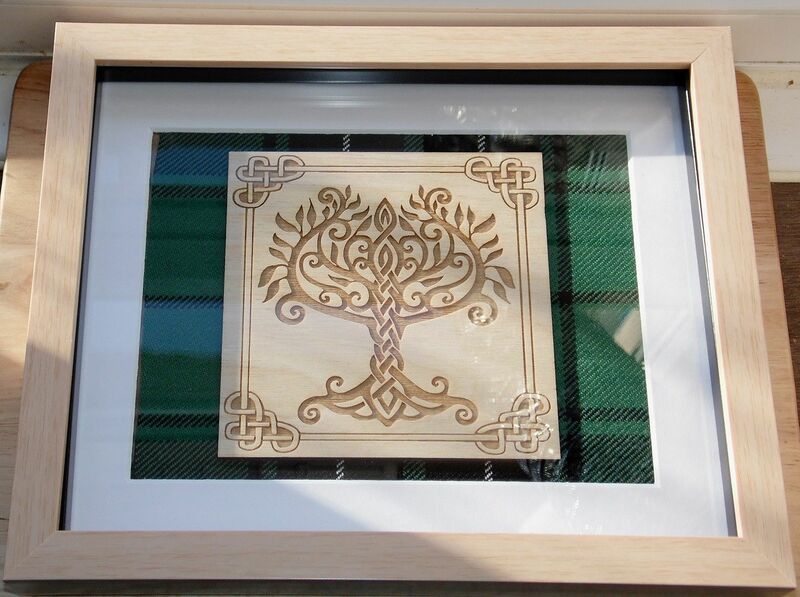 Our lasercut stag design on wood, framed in light wood effect box frame which measures 10" x 8" and can be wall mounted or free standing.Available on the 16oz tartan background of your choice. 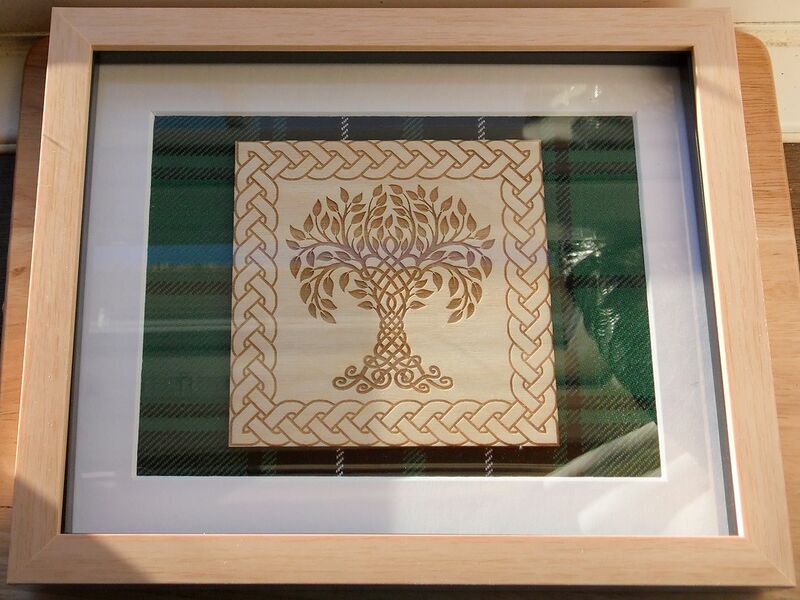 Here we have an original engraving design inspired by my love of nature and my roots, named after the customer who first gave this design a home.Comes in a wooden box frame measuring 10" x 8" which can be wall mounted or freestanding.Engraving size is 25cm x 25cm and comes mounted on the tartan of your choice.Please allow 7-10 days from ordering for your frame to be complete as tartan is ordered in on an individual basis.